THE MODERATOR: We're joined by Duke head coach Mike Krzyzewski as well as student-athletes Marvin Bagley and Grayson Allen. Questions for the student-athletes? Grayson, what's the biggest difference between their zone and your zone? GRAYSON ALLEN: A lot of times you'll see when the ball goes into the middle against them their center steps up. A lot of times there's two (indiscernible) stepping up to take the ball in the middle, whereas we try to keep our big to protect the rim and have another guy come to contest the shot in the middle or challenge the ball, try to make them uncomfortable then. Does it help you offensively going up against the zone, the fact that you now play it? 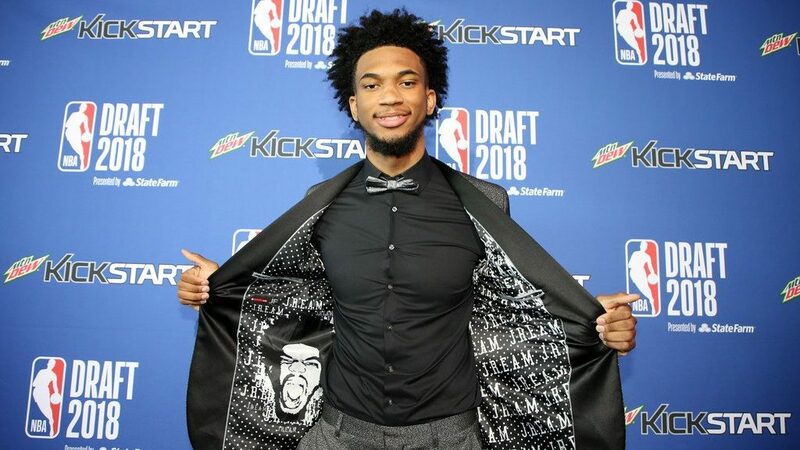 MARVIN BAGLEY III: I mean, I don't think it really has anything to do with our offense. We've moved the ball pretty well lately. It's going around to everybody, everybody's touching it, everybody's involved in the game. So I think if we continue to do that then we can have great success throughout the rest of the tournament. 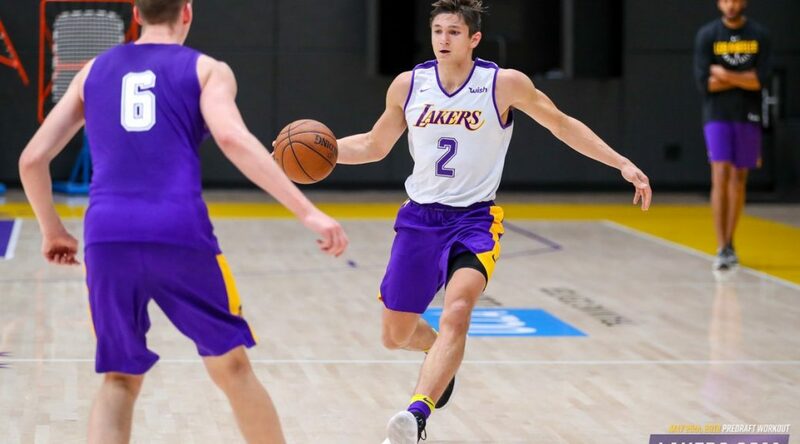 GRAYSON ALLEN: I think it might help a little bit, just because we know movements and positionings. But at the same time Syracuse's zone is different. For the majority of the year you go up to man-to-man teams. So you don't prepare; you don't have game preparation to go against the zone every day. 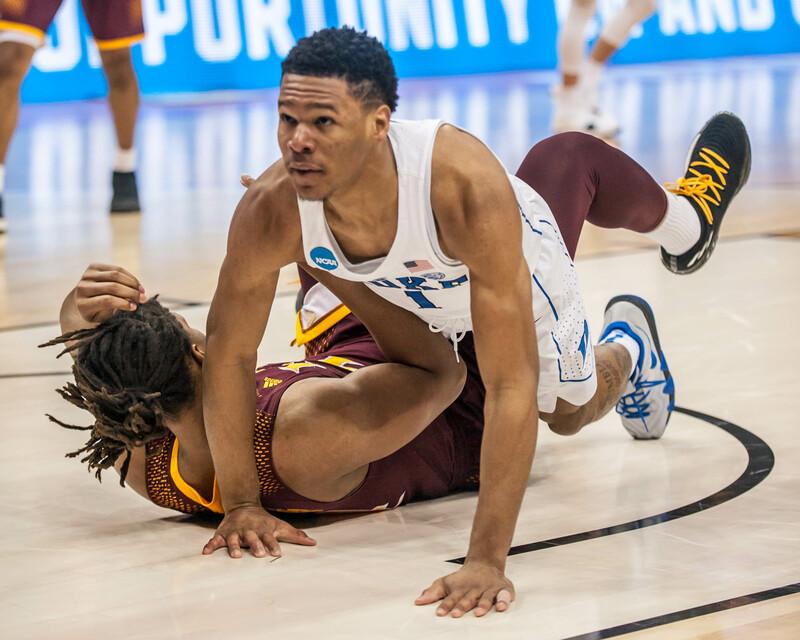 We have preparation to play a zone against everybody, obviously, but as far as trying to execute against the zone and the zone that's as long as Syracuse is, it's difficult to actually prepare for that. Grayson, you were the 2015 championship team, obviously had a great senior leadership back with Cook. You being a senior on this team with so many freshmen like Marvin, have you tried to take on a leadership role and be a leader for those freshman? 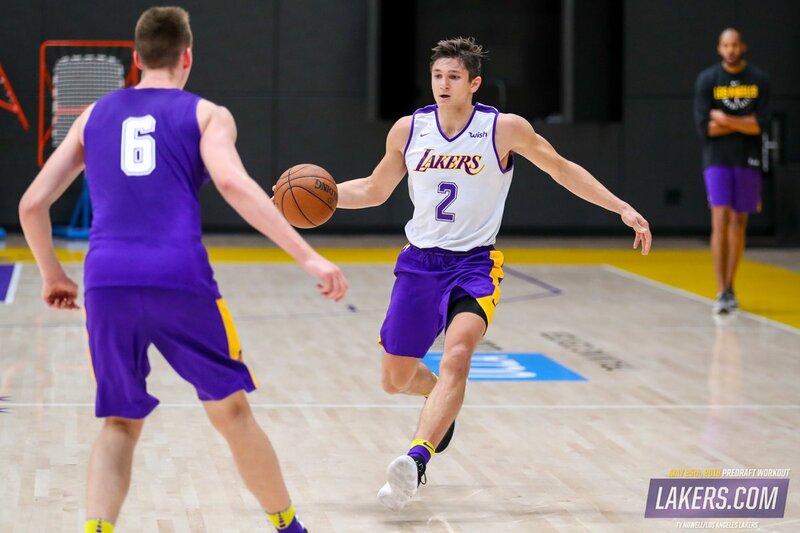 GRAYSON ALLEN: Yeah, I'm the leader of the team right now, and as the captain that's what I'm trying to do, trying to prepare them, trying to lead them in the right direction. And at this point in the season it's really cool how we've come together. And the guys are listening to me out there on the court and in huddles and everything. And they're starting to speak up, too. And we're all listening to each other out there. And we've really come together as a team here. Marvin, you and Wendell had a pretty good game against Syracuse back in February. How much adjustment do you expect to see Syracuse make against you guys? 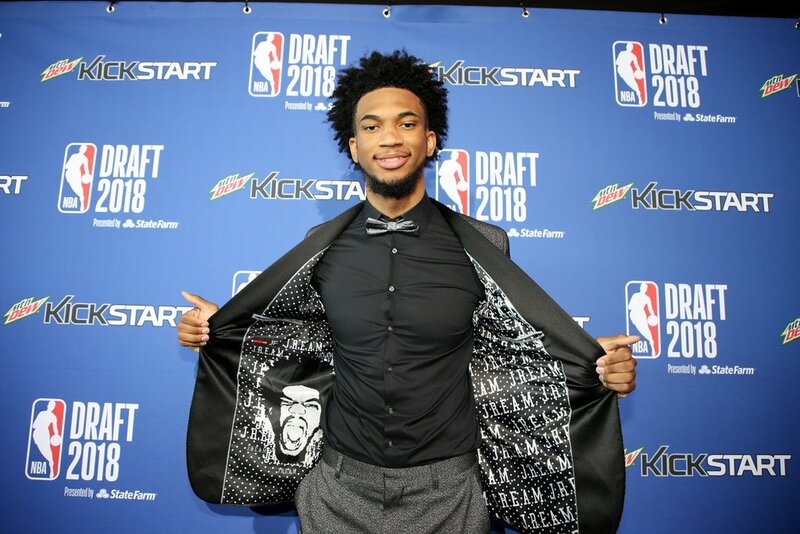 MARVIN BAGLEY III: We're expecting to see a completely different team than we played last time. That's something that I've learned throughout the years -- teams that we watch on film, they play completely different when we actually get on the court. And it's kind of like we have to learn how to adjust. And we did a great job throughout the year. But I think Syracuse is going to be a different team. Last game we both had pretty bad games as teams as a whole, but it should be a great game. And I'm excited to get out there and compete with my teammates and just try to continue to get wins. Grayson, can you slap the floor while playing zone, and do you miss it? 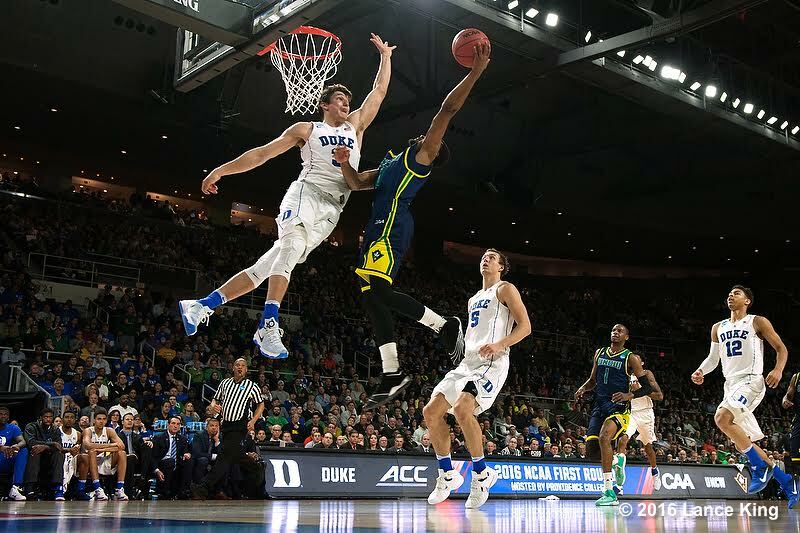 GRAYSON ALLEN: Yeah, you can definitely slap the floor playing zone. Slapping the floor is all about intensity and getting a stop. I don't know if anyone's seen it yet or seen it in a zone yet. Definitely can, though. 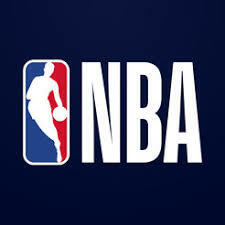 It more symbolizes getting a stop than it does man-to-man defense. Grayson, there's been a lot of talk about just player compensation and the potential of college players getting paid. Where do you stand on the viability of that? GRAYSON ALLEN: I'm here, so I've been pretty happy with my four years of college. It's been awesome. It would be really tough because you're changing something that's been in place for a long time. And so it sounds good. I'd love to receive some extra money. That would be awesome. But thankfully I'm not the one in charge trying to figure out exactly how to do that. 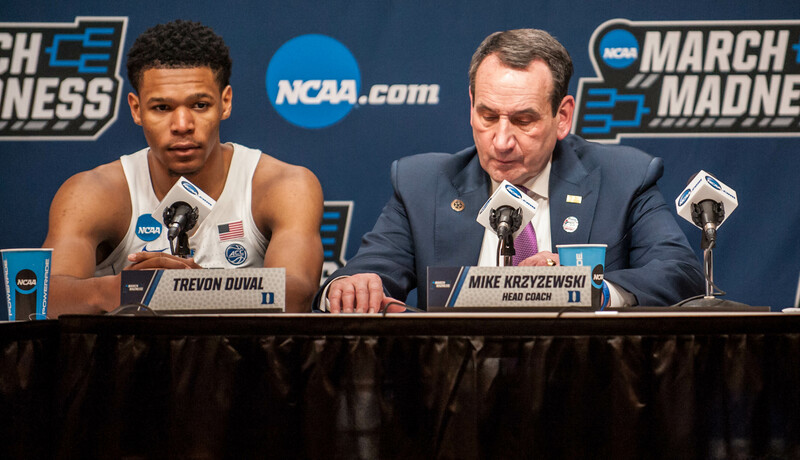 THE MODERATOR: Questions for coach Mike Krzyzewski? Can playing the zone on defense help you offensively when you go up against another zone? COACH KRZYZEWSKI: I think so. A little more familiarity. I think you respect it even more because you know a little bit more of the intricacies of playing it. And so when you see Syracuse play it, you have an appreciation for how well they do, the way they do their zone. And some of the changes that they make as the year goes along, as their players improve -- which Jim's players always improve -- but, yeah, I think it helps both teams, I think, understand that. 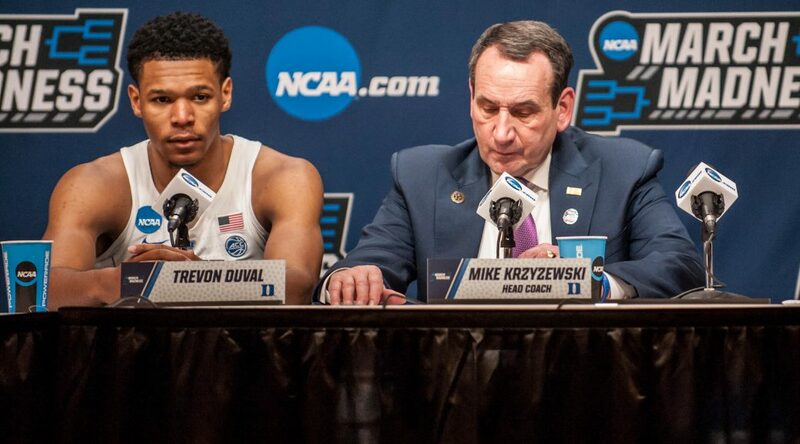 COACH KRZYZEWSKI: I'm sorry, we've been an up and down? From 3-point land this year, but last week you drained 20-plus 3s and had a high percentage. What was the key last weekend to get anything to go in from 3? COACH KRZYZEWSKI: Our guys hit shots. I mean, I think offense is an up-and-down type of thing. But overall we've been outstanding -- we haven't been an up-and-down offensive team. We've been a good offensive team all year long. And if you only depend on the 3, then you're going to be in trouble. But we've been a good rebounding team. And we have good inside players. So I think more balance, balance is the key to being a really good offensive team. And for the most part we've had that. Hopefully we'll be able to hit the 3tomorrow, but I'll be more concerned with just having balance. There's been a lot of talk just about player compensation. Do you feel like the model that you guys have currently is the right model for college basketball or does it need changes or tweaks at all? COACH KRZYZEWSKI: It's not my model that we guys have. We do what the guys tell us to do, okay? So, no, the model needs to be changed, especially in regards to what a kid and his family can do before they come to your institution because the school and the coaches have no control over that. And I think it starts with that and a different definition of amateurism. And whatever that does, once they get there -- kids get a lot right now. In the last three to four years, I'm not sure how much research you've done on it, but if you would compare what kids get today as compared to four years ago, it's a dramatic improvement, dramatic -- not small, dramatic. But, again, I'd like for them to take a look at what happens before you get 'em to make sure that the kid and his family are afforded the opportunity to max out like anyone else in our country what talent will give you. I guess looking back at that meeting that you had with Syracuse back in February, how useful is the tape of that in preparing for this one? COACH KRZYZEWSKI: Well, the game we had, we didn't meet with them, but we had a game with them. And I thought -- I didn't think either team played well. And sometimes that happens in a grueling conference schedule. Hopefully the other team isn't playing well and you're playing well. But I thought we were both a little bit run down during that time. And so I don't think it's a good indicator. I think I heard Marvin mention something about it, that -- they're different and we are too. They're better. We're better. Marvin had been out for two weeks and he just came back that day. Brissett and Dolezaj are different players for them than they were on February 24th. We're both better teams right now. Mike, you've been around Jim Boeheim, you've been around Jim for a lot of summers. I want your best Jim Boeheim impression? 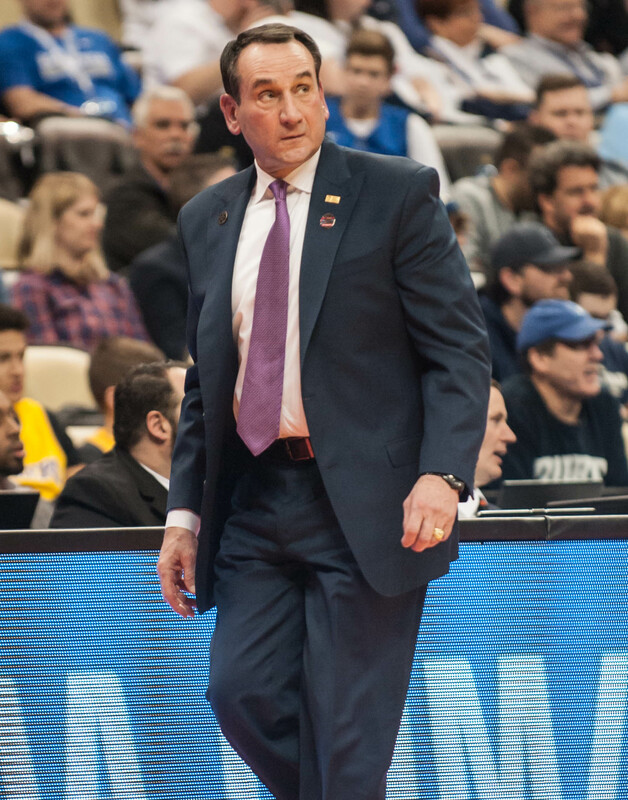 COACH KRZYZEWSKI: Look, I'm not Billy Crystal here or whatever. Jim Boeheim to me is my best friend in coaching and one of the really great coaches in the history of our game. And what he did to spend 11 years as -- I call him my co-coach with US -- was terrific. And I could not have had a better guy. That's why I chose him and asked him three times to be that. And so we have a bond that is very, very tight. And so do our families. So that's the difficult part about tomorrow. But the fact that we're both here, that's good, that's good. But I love Jim and his family and what he's done for us and for the United States. Anything specific to the zone where it almost feels like he's kind of joked about you stealing something out of his playbook? COACH KRZYZEWSKI: He doesn't have a playbook. COACH KRZYZEWSKI: No, he does not have a playbook, it's all right here (pointing to his head). Since you've been through this more so than anybody, is there skill in going into this round to this weekend? COACH KRZYZEWSKI: Some of it is luck. Some of it is luck and you're healthy, you've got a matchup that was more conducive to you than the other guy. And sometimes, just like for us, we're playing well. So we're playing our best basketball. But the zone itself, I learned a lot from Jim but also from Mike Hopkins and Jeff Capel. With the U.S., you're with all these guys and you're not just watching tape of Uruguay or Puerto Rico or whatever, Argentina. You're there with Thibodeau, with Monty Williams, D'Antoni and McMillan and all these guys. And so you talk a lot about basketball. And no one really has that opportunity. You don't do that. And so Jim and Mike were -- Mike Hopkins did an amazing job behind the scenes. So we learned a lot. We used it one time and we won a game in Madrid, against Spain, a big-time game. But we practiced it a little bit. Two things, how difficult is it to coach against a good friend when you get in the NCAA Tournament, someone has to go home? And secondly how much do you enjoy being the youngest coach in the game tomorrow? COACH KRZYZEWSKI: I like the second question better. A lot younger in every aspect. But you know what, we're both professionals. And for me, coaching against a former player who played for me or a good friend, I never look at the other sideline. 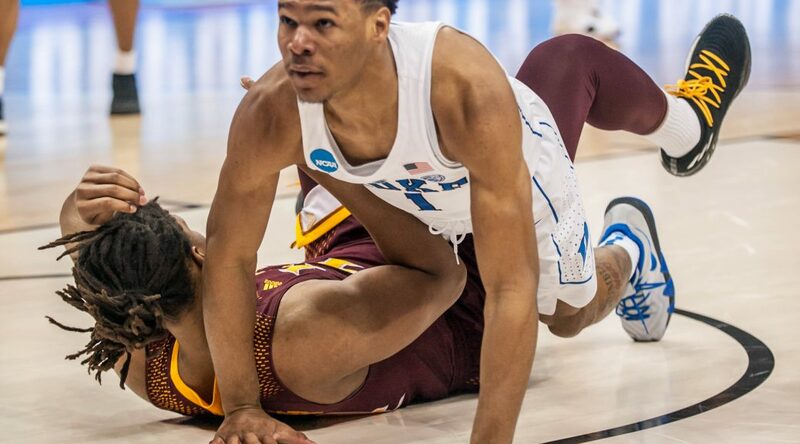 It's Duke against Syracuse and he's going to go after us. We're going to go after him. And we'll be friends before and after and during. But you wouldn't show respect for someone you loved and had respect for by not giving your best. And so I expect his best and I know he expects that from me. What do you recall from traveling the back roads of Nebraska in 1981 and 1982, and Bill Jackman says hi? COACH KRZYZEWSKI: Well, Bill is a great kid, and for us, we had to fly to Denver to get to Grant, Nebraska. We enjoyed it. They're great people and we're really good friends. And it's a time where he felt the necessity of getting back to Nebraska for family reasons. But we've maintained a great friendship. I thought he was a fantastic player and even a better person. And he's proved to be a really good player, but he's really fulfilled the other part of it extremely well. Michael Buckmire, walk-on, what have you seen from him and his role as a walk-on, and what does he bring to the team? COACH KRZYZEWSKI: It's tough to get, without insulting our student body, the level of athlete that could be a walk-on on our team and Buck does that. Plus he's smart and he played in a really good league in Philadelphia. He's been terrific, better than I could have expected. His dad was a great soccer player at Duke. So the athleticism, I think, comes from that. But we're happy to have him.